Prisoner of Zenda is a great example of a novel where the author loses interest in his hero, giving his villain more and more space on the page. 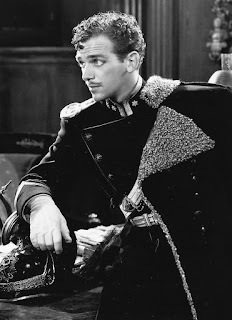 The villain of Prisoner of Zenda is not the traitorous Duke Michael, half-brother to the king. It is Michael's henchman, Rupert of Hentzau. He shows up soon after the book's hero Rudolf of Rassendyll is coronated as a temporary replacement to the king. In fairness, I doubt Hope was crafting a politically astute novel. I think he was writing a romance (in the old meaning of the term): kings! femme fatales! sword-fighting! midnight meetings! castles surrounded by moats! sarcastic villains! In the book, the sarcastic, lively, handsome and frankly admired villain, Rupert, gains more and more page space. He is one of the few villains left living at the end of an adventure novel of this type (though I understand he dies in the sequel). In the 1937 David O. Selnick movie, the part of Rupert is perfectly cast with Douglas Fairbanks. 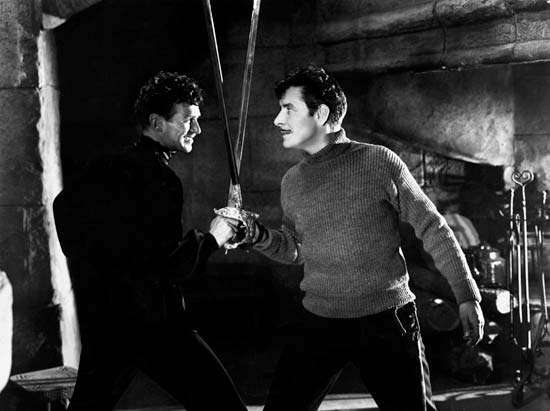 Fairbanks barely avoids taking over the film and only because Ronald Colman plays Rudolf. In the 1952 version, both Stewart Granger as Rudolf and James Mason as Rupert fail. The latter failure surprised me--it's James Mason!--but Mason does far better as a sincere and brooding villain with depth than a lightweight, amused villain with verve. Douglas Fairbanks as Rupert is excellent and Ronald Colman matches him with a twinkle in the eye. Colman has this delightful Robert Downey, Jr. ability (or Robert Downey, Jr. has a delightful Colman ability) to throw out single seemingly thoughtless lines in an incredibly funny way (in comparison, Stewart Granger is wooden). Colman and Fairbanks' scenes together become the best in the film--just think of Tony Stark facing down Hiddleston's Loki. Everything else comparatively pales. 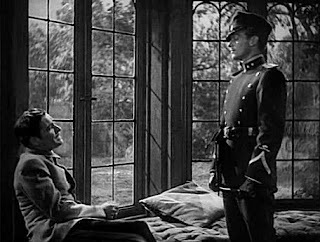 Except a very young David Niven as Fritz--that was a surprise! 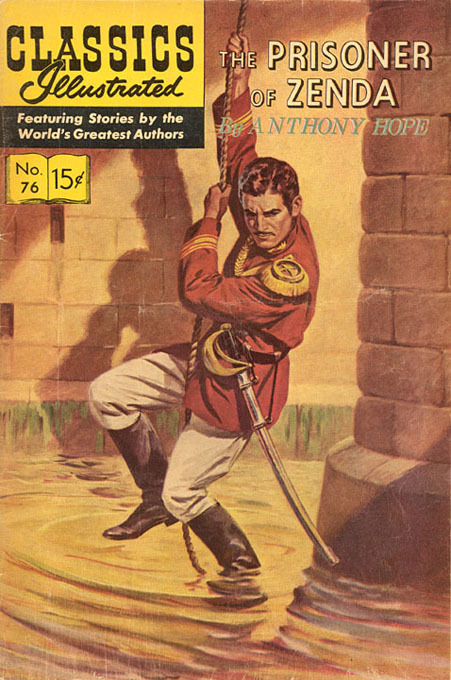 The plot of Zenda, despite it's silliness, has been swiped a lot. George MacDonald Frasier's Royal Flash was a tribute and supposedly the real story behind the book. There was also Edgar Rice Burroughs The Mad King. The comic book Jon Sable, Freelance had an issue that homage it as well, however, there the main character looked like the villain and was set up as the fall guy for an assassination. The comic book does pay tribute to Rupert at the end Sable gets to jump out the window. Which he says something like "I always wanted to do this!"